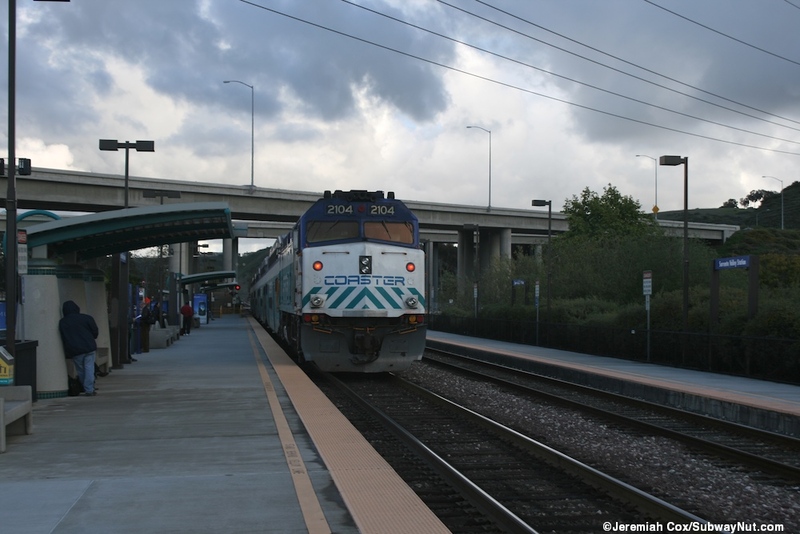 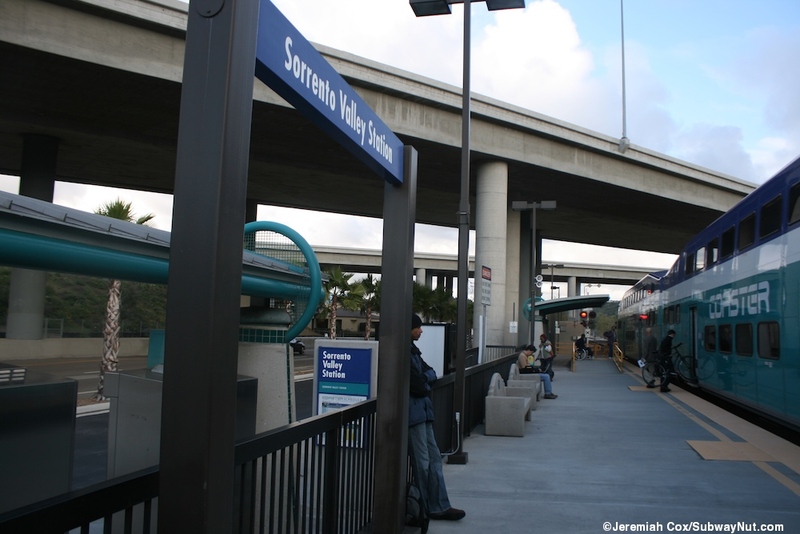 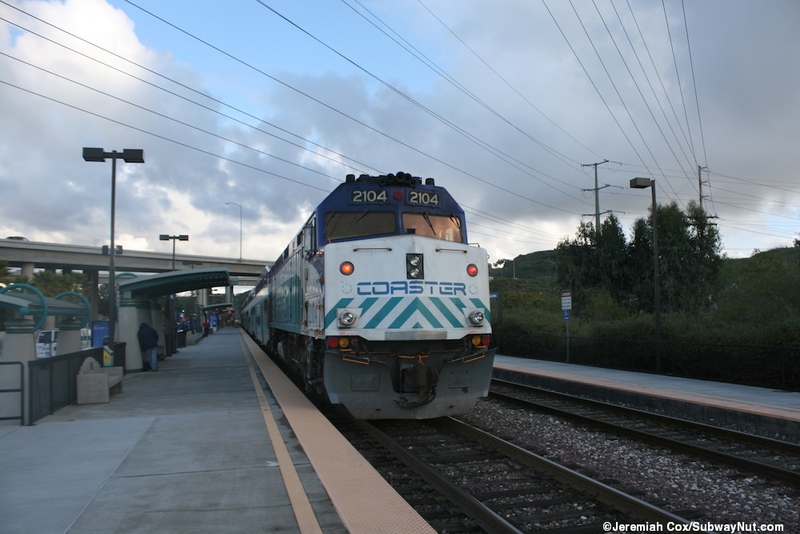 Sorrento Valley Station is the least scenic Coaster Station and serves a surrounding industrial area with the platforms beginning just north of a I-5 crossing over the train tracks. 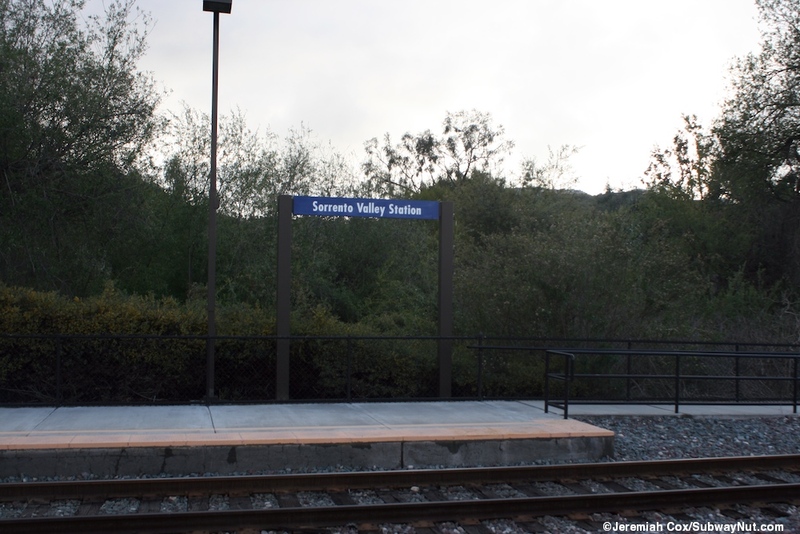 The station has two platforms for the two track line with grade-crossings at each end providing connections although there is no fence between the station's two tracks. 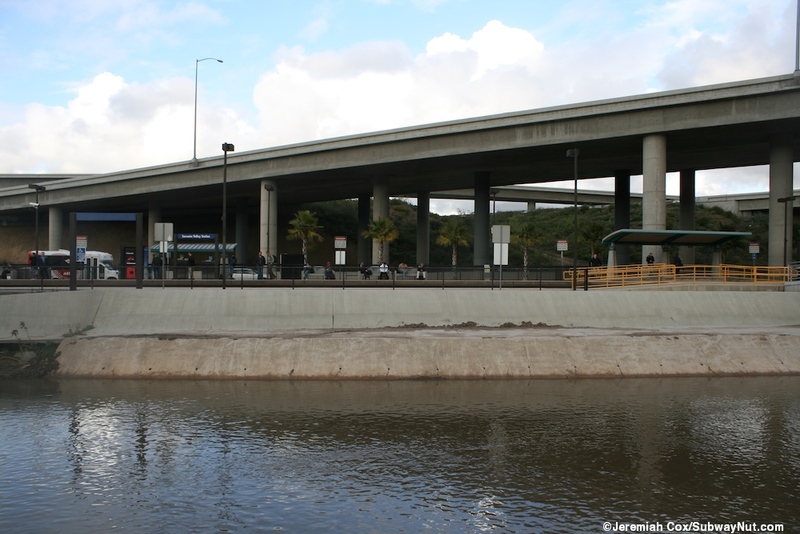 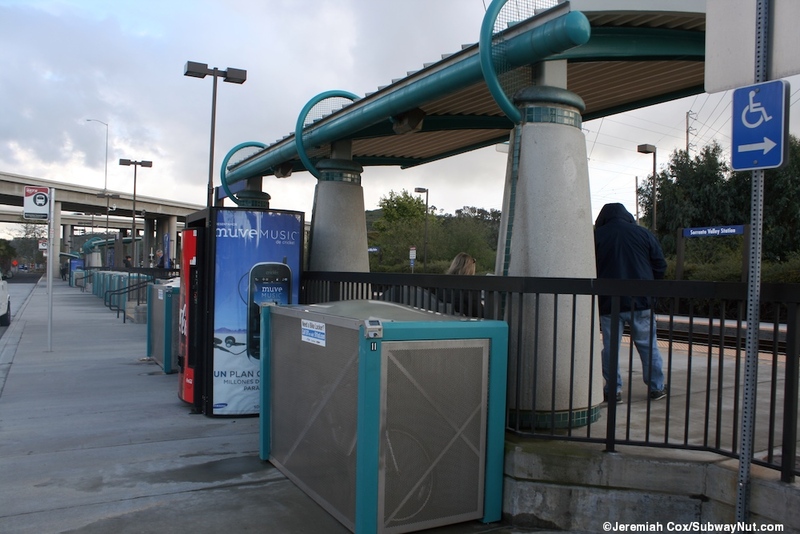 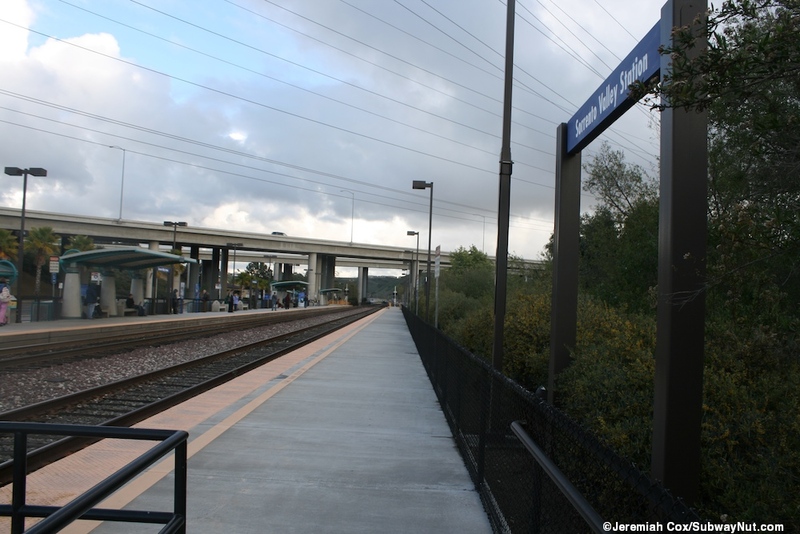 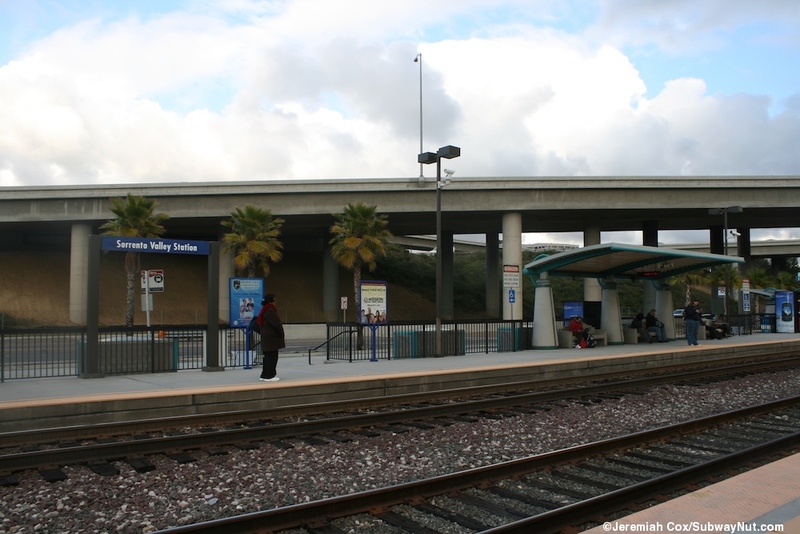 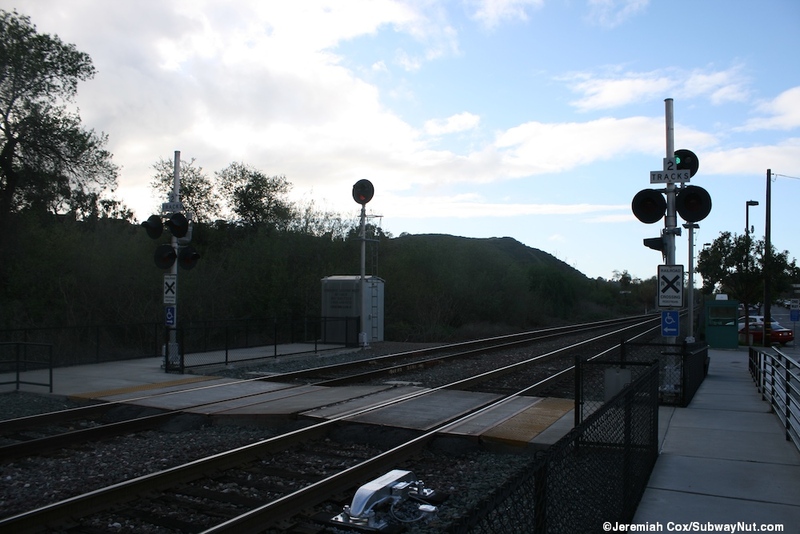 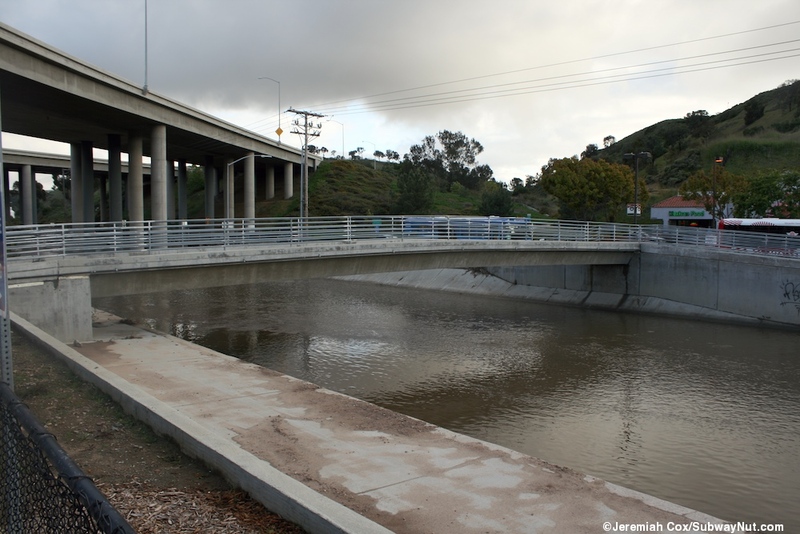 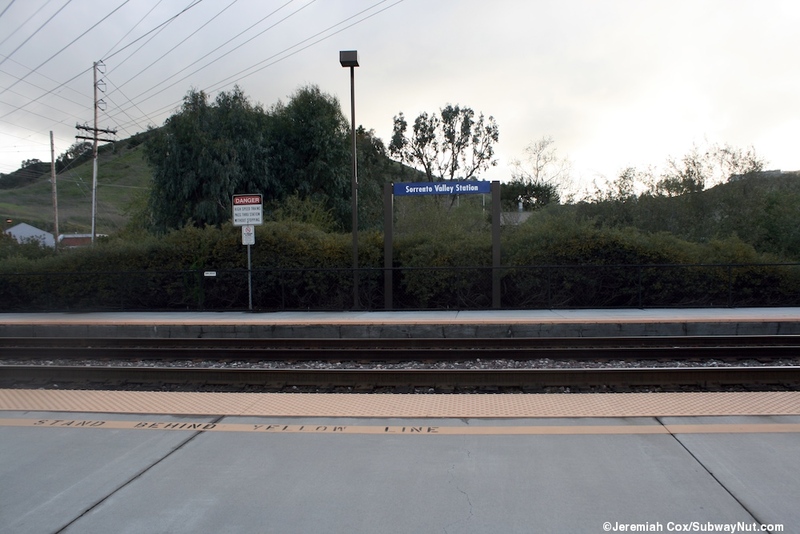 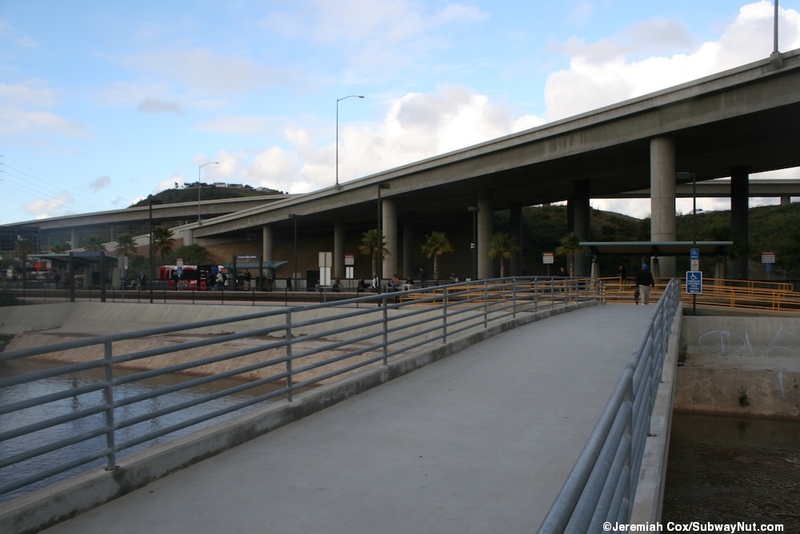 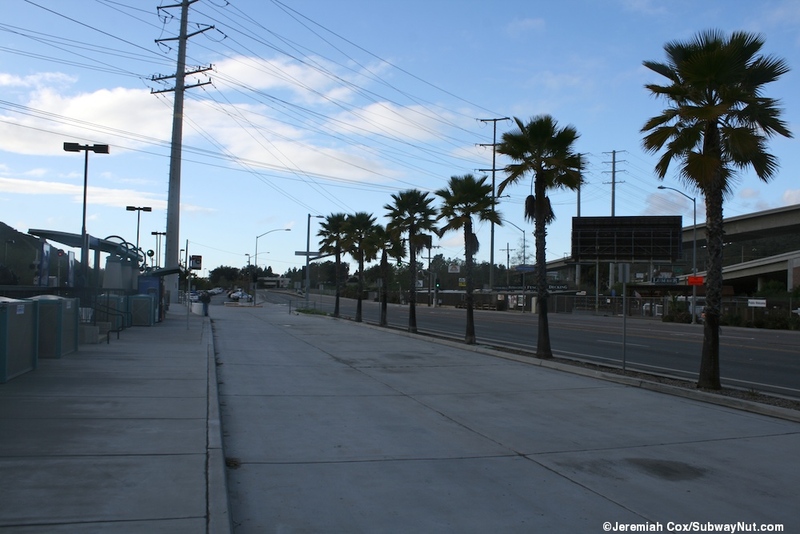 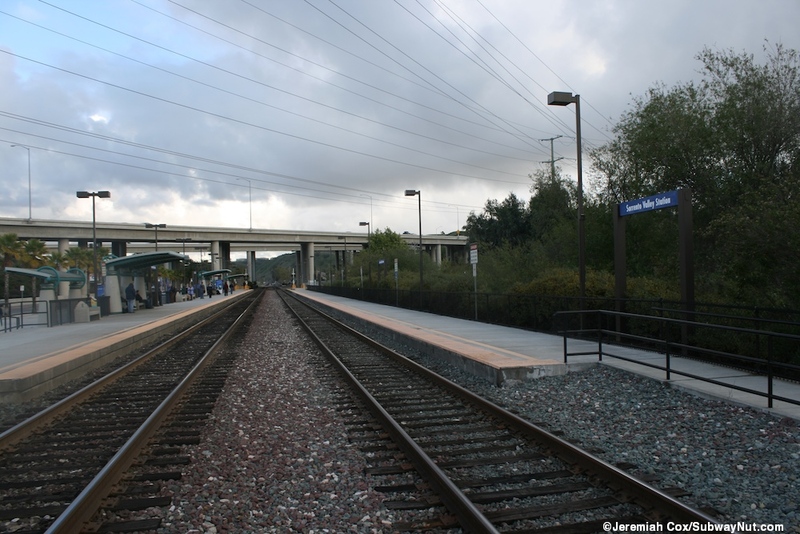 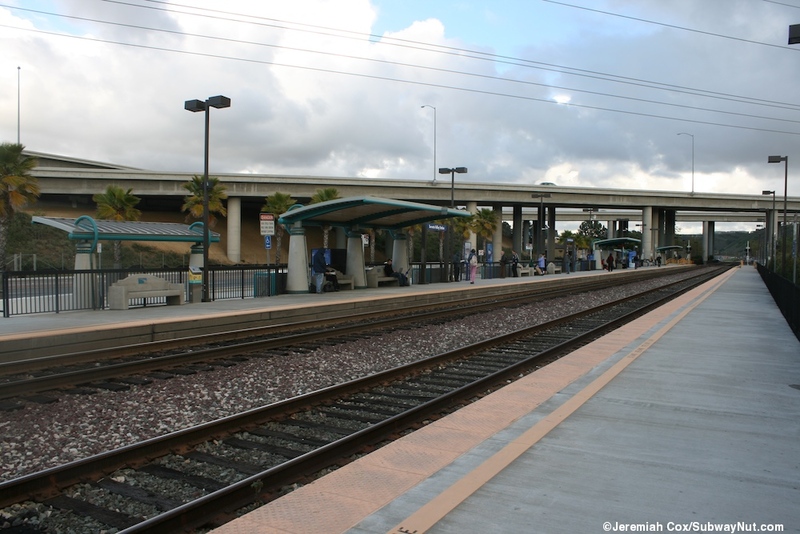 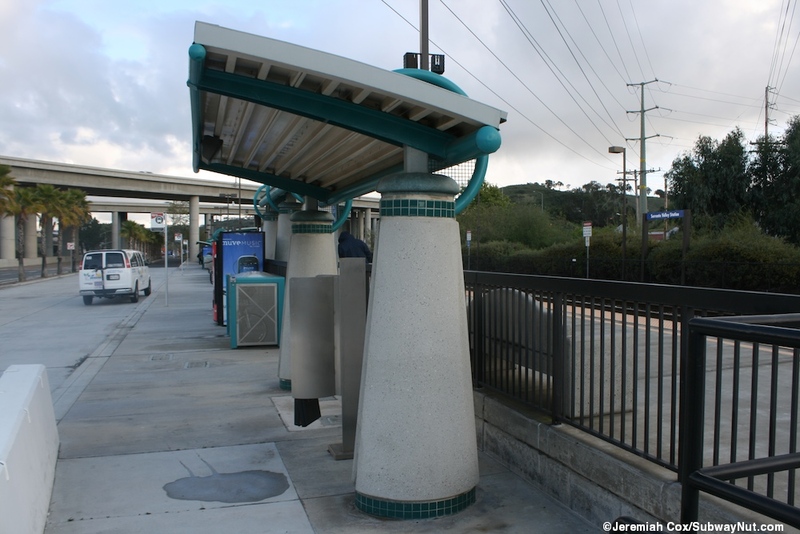 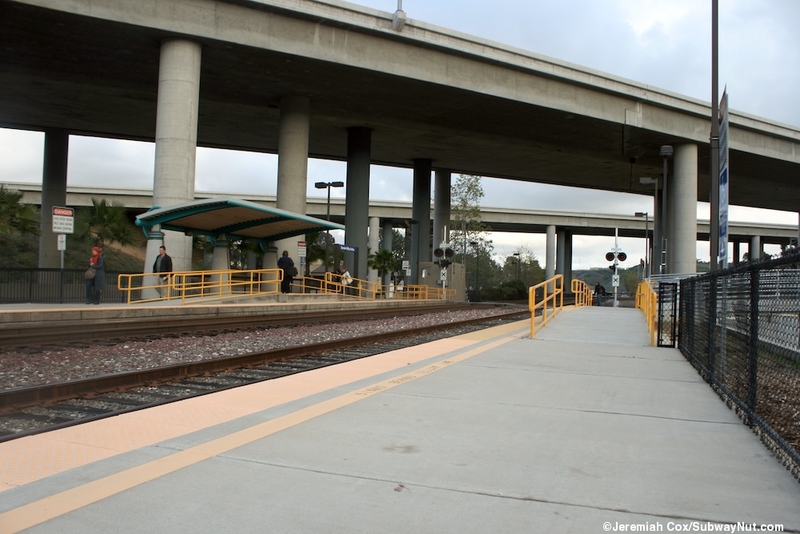 The west platform is completely bare (no canopies, just a few black square lampposts) but has its own entrance via a concrete bridge at is southern end across Penasquitos Creek to a bus stop for connecting shuttle service on Roselle Street. 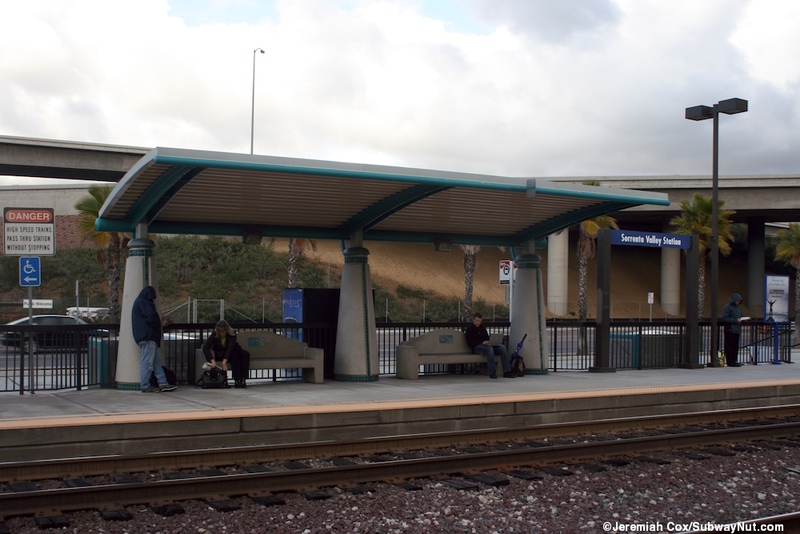 The east platform is more substantial with two main canopy structures along the platform with three concrete pillars tiled in teal with teal support beams holding up canopies. 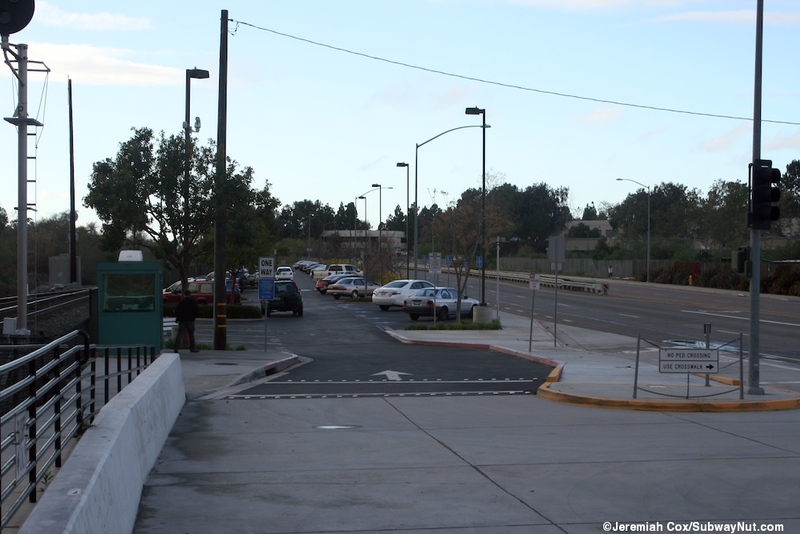 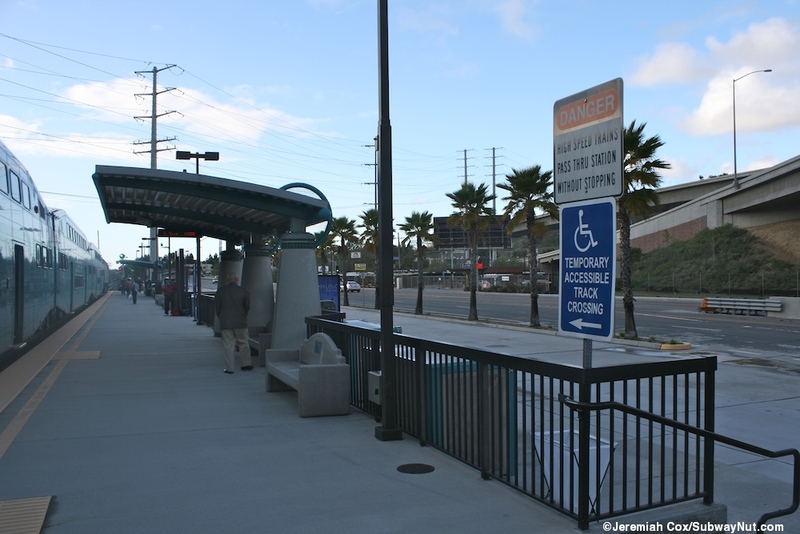 It is directly along a one-way bus loop with Sorrento Valley Road just beyond it and there is the station's long and narrow about 100 space parking lot at the northern end of it (and end of the platform).